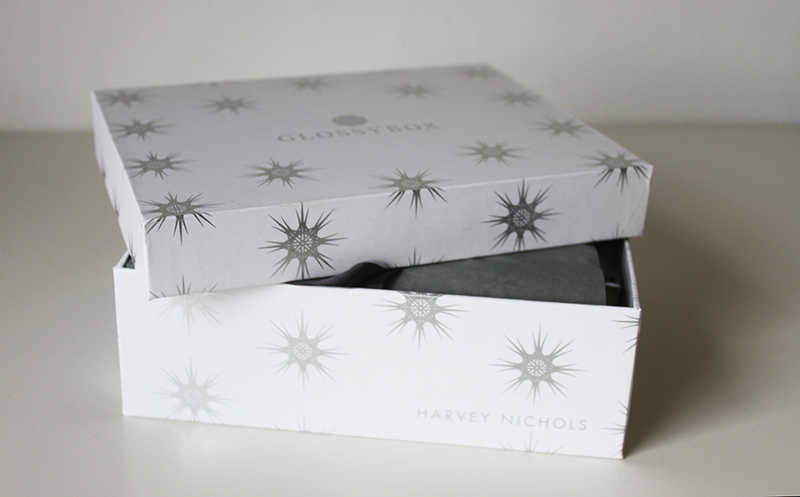 Everyone has been talking about it, but just in case you have been living under a rock I thought I would share with you the Glossybox and Harvey Nichols Collaboration- just in time for Christmas. I haven’t posted about sample beauty boxes as I haven’t seen anything very exciting in a while however I think this box is rather special in comparison. At £30 it’s almost three times the price of a normal beauty box but it is filled (and I mean filled!) with brands we all love and products you might actually use. Since Glossy Box have told us exactly what is inside there shouldn’t be any surprised and you should know exactly what you are paying for. I love that includes skincare, haircare, nail care and makeup all in one box. For just £30 you receive £150 worth of products, which is a pretty sweet deal! The stand out products for me are the Laura Mercier Primer (which I’m sure I have a sample off from another box), the NARS Satin Lip Pencil, Harvey Nichols Mini Scented Candle and the full size Show beauty products. That said I would have much prefer the OPI Nail Polish that some people got and also a different Show Beauty products… but I guess that’s just the luck of the draw. 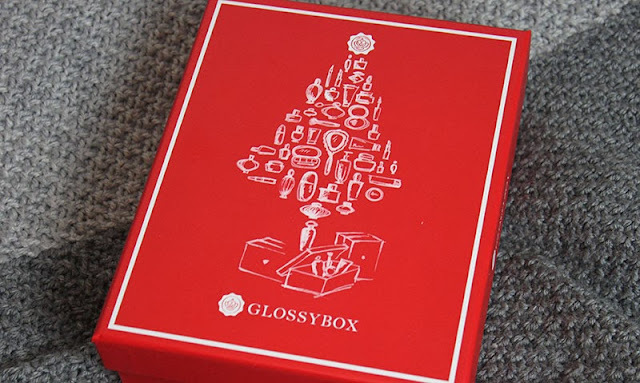 I’m really happy to see GlossyBox offer their subscribers something different, it would make a great Christmas present for any beauty lover, or even as a treat for yourself. 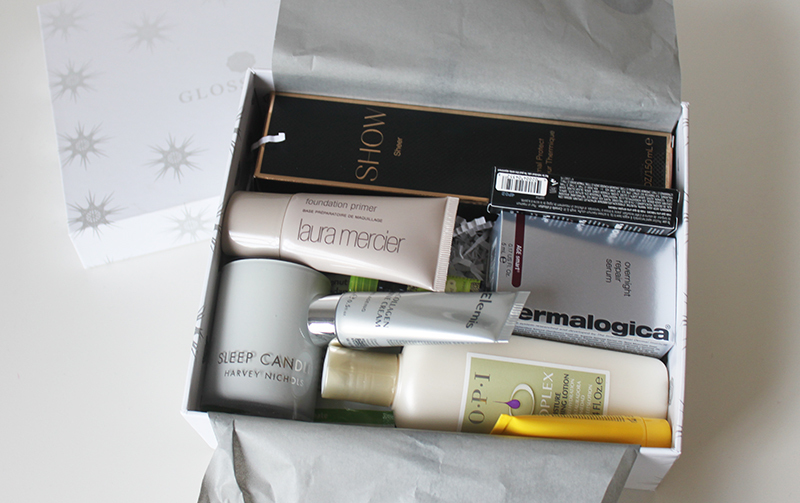 Glossybox also offer a three, six or twelve-month subscription starting at £30 (+P&P) which also makes a good present for a beauty lover. 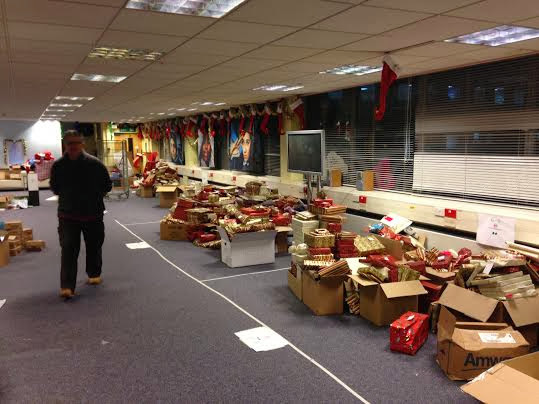 The Harvey Nicols and Glossybox Box will be able to purchase 17th November from here. What do you think of the look of this box? 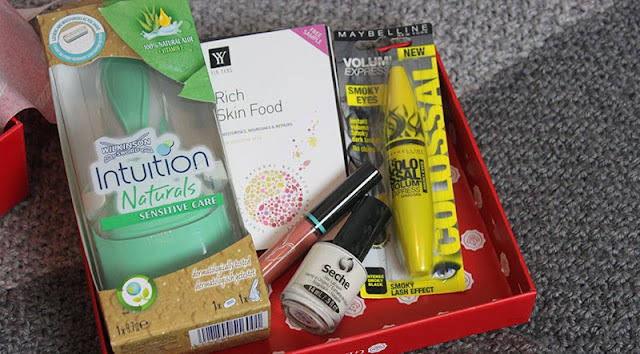 It’s been a few months since I’ve blogged about on of the monthly Glossy Boxes and since this one is looking so pretty and festive I thought it was a good chance to talk about it. This month the box is a beautiful pillar box red with a festive makeup tree on the front. I was actually quite impressed with this box as there were three full size items from brands I love and trust. 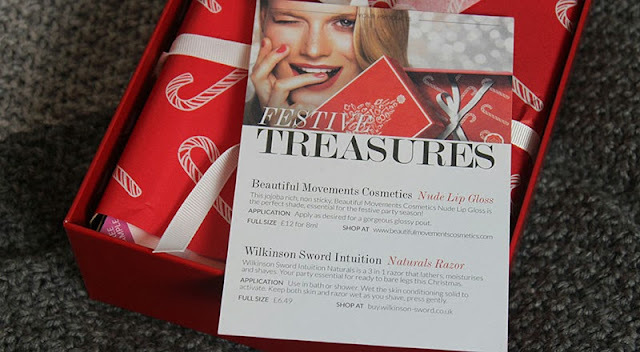 The WilkinsonSword Intuition Naturals Razor took up most of the box but razors are something I always need so was happy to see it in there although now that I have googled it I have found that they aren’t too expensive. There was also a Maybelline Colossal Mascara which is great as I’m not sure I have tried this volume version. I was most excited by the Seche Vite Nail polish as it’s a white one which I find always comes in use particularly for nail art. The other two products were a Beautiful Movements Lip Gloss which is a stunning colour but not so great consistency and a sample of Ying Yang Skin Food. 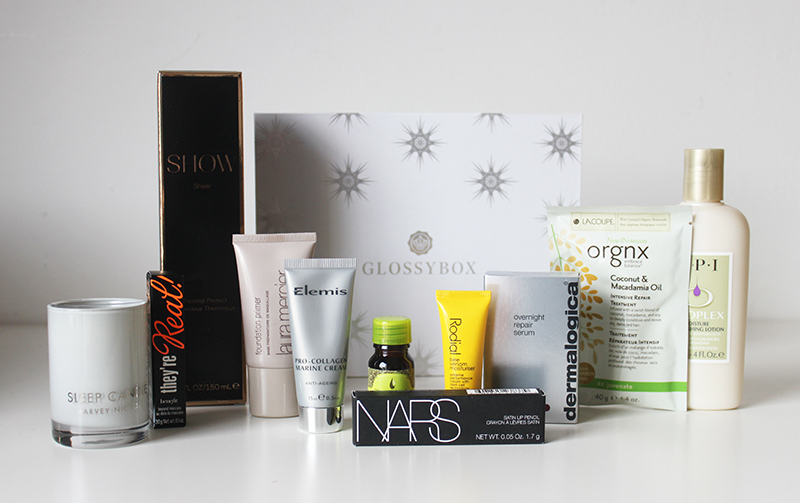 Are you subscribed to Glossybox? What has caught your eye from my box? Another busy week but tomorrow is my last official day of interning which means I will be spending the weeks running up to Christmas just blogging and hopefully making some videos which is so exciting! 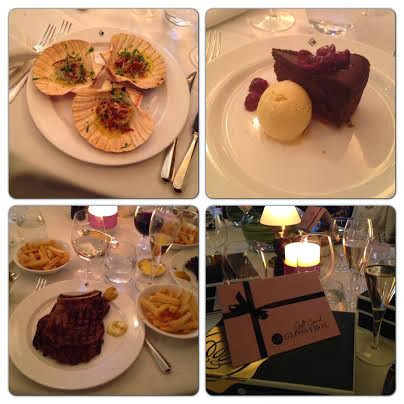 Although I say it was busy I only had one super hectic day which was Thursday when I had my day off work. After attending a few press days I joined the lovely girls from The Body Shop to wrap presents at The Kids Company which is an organisation that works with vulnerable Children and young people. Sadly this year I didn’t volunteer to work Christmas Eve giving food to the homeless like I did last year so I was glad to see the The Body Shop was looking for some volunteers to wrap presents. It was great to see that they weren’t just donating gifts/money but actually taking a whole to wrap gifts and encourage others to do so too. Most us are just so lucky but don’t realise it, it really made me realise that I would love to volunteer a little more in the next year. I’m hoping the next week will be less boring busy a little more fun so am thinking of vlogging (I am addicted to Vlogmas!) would anyone be interested? 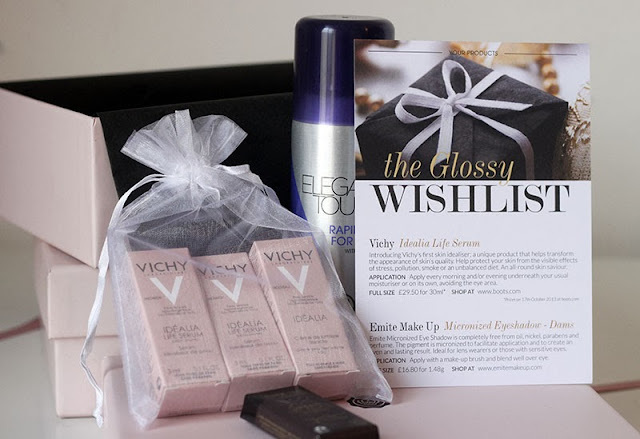 I’m very excited to be offering one of my readers a 3 month subscription to GlossyBox starting next year. Its a particularly nice prize as you’ll receive it spread out over 3 months and you’ll only know what’s inside once you have received it.